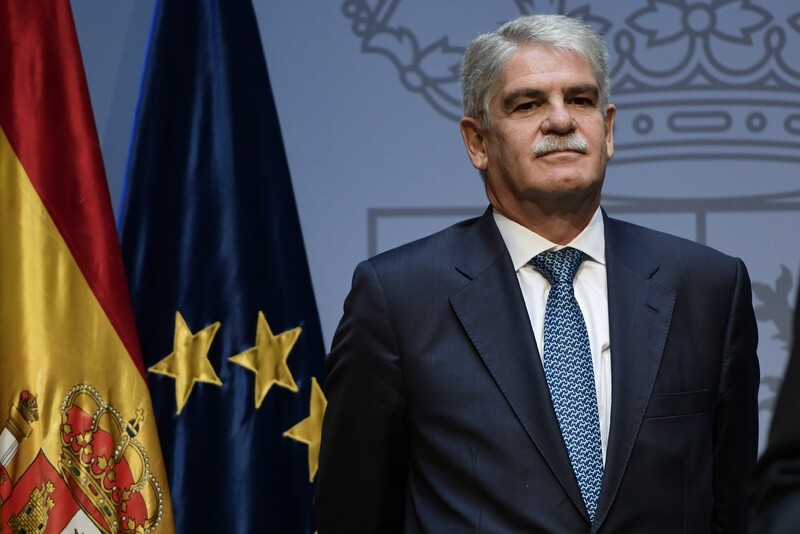 Spanish Foreign Minister Alfonso Dastis has denied that the central government’s move to impose direct rule on Catalonia could be considered a coup. This comes in response to the speaker of the Catalan parliament calling the Article 155 activation approved Saturday by Madrid a “de facto coup d’état”. Speaker Carme Forcadell argues the majority “yes” vote in the earlier independence referendum gave Catalonia a mandate for separation. Madrid says it also wishes to remove the Catalan leadership and hold new regional elections within six months. This would include the pro-independence regional President Carles Puigdemont. “If there is a coup d’état, this one is followed by Mr Puigdemont and his government, Dastis told the local Andrew Marr Show. The Catalan leadership has insisted during the entire official independence process, starting with Oct 1’s regional independence referendum, that all their actions have been democratic and fair under the international law. After a deadline passed Thursday for President Puigdemont to announce an end to the region’s independence ambitions with no sign of Catalonia backing down, Madrid followed through on their deadline process. Puigdemont instead sent a letter to Spanish Prime Minister Mariano Rajoy calling again for negotiations for independence. Only 43% of Catalans voted on Oct 1, many say the number was low due to police brutality carried out by the national guard. However, 90% voted in support of succession. Anti-independence parties, who held 40% of the popular vote in the 2015 regional elections, and their supporters boycotted the referendum calling it illegitimate. Mr Puigdemont said on Oct 10 the independence referendum results gave his regional government a mandate to declare independence, but that he would hold off “a few weeks” to explore negotiations with Madrid. Spanish Prime Minister Mariano Rajoy said that his officials had asked Catalonia to clarify whether a declaration had been given, with a deadline of five days, according to local media. This was the deadline that had passed Thursday. If Catalonia had confirmed independence, Puigdement will be given another three days to rescind the declaration before Article 155 of the national constitution is triggered, according to Efe news agency. The constitution allows Madrid to dismiss the region’s current semi-autonomy and launch direct rule on Catalonia after the three days. More details to follow. With files from the Andrew Marr Show. Image 1 of Alfonso Dastis from La Croix.